Drunk driving is a serious criminal offense that is punishable by harsh penalties upon conviction, with good reason. 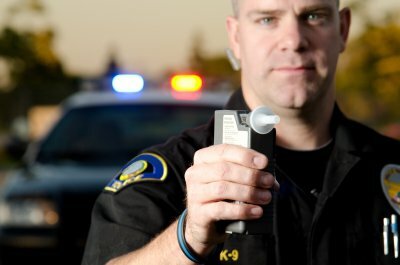 Driving under the influence (DUI) and driving while intoxicated (DWI) causes thousands of deaths and injuries each year in the U.S. Certain drivers may be subject to additional penalties if they are charged with drunk driving, including those who hold commercial driver’s licenses (CDLs). If you’re a commercial driver and you were arrested on suspicion of drunk driving, it’s imperative that you contact a DUI lawyer in Glen Burnie or Severn right away. A DUI lawyer can protect your legal rights and work toward improving the outcome of your case. The Maryland Motor Vehicle Administration (MVA) can suspend or disqualify your CDL for a number of reasons. It can be disqualified after a conviction of DUI charges. It may also be disqualified prior to conviction if the law enforcement officer allegedly determines that your blood alcohol concentration (BAC) was very high. You should be aware that your CDL can be disqualified if you refuse to submit to a chemical test of your BAC. When your CDL is suspended, you will receive a notice of disqualification. You must surrender your CDL to the MVA by the indicated date or you will risk having your period of suspension extended. Before you surrender your license, you should consult a DUI lawyer. He or she might recommend that you request an administrative hearing to fight the suspension. Maryland criminal law allows for the revocation of a driver’s CDL for life under certain circumstances, including a second conviction of DUI. This can be devastating for individuals who rely on their ability to drive commercially in order to support their families. If you are facing DUI charges for the second time, you should contact a DUI lawyer immediately for legal guidance. In addition to the suspension or revocation of your CDL, you will face criminal penalties if you are convicted of DUI. For a first offense, you could face up to one year in jail or up to two years in jail for a second conviction. A first-time DUI conviction can result in fines of up to $1,000 or up to $2,000 for a second conviction. Do You Need a Separation Agreement? Personal Injury Attorney | Law Offices of William Trevillian, P.A. | ©2018 All Rights Reserved.